Hey rocket man (burnin' out your fuse out there alone) ever wonder how fast you're rocketing? 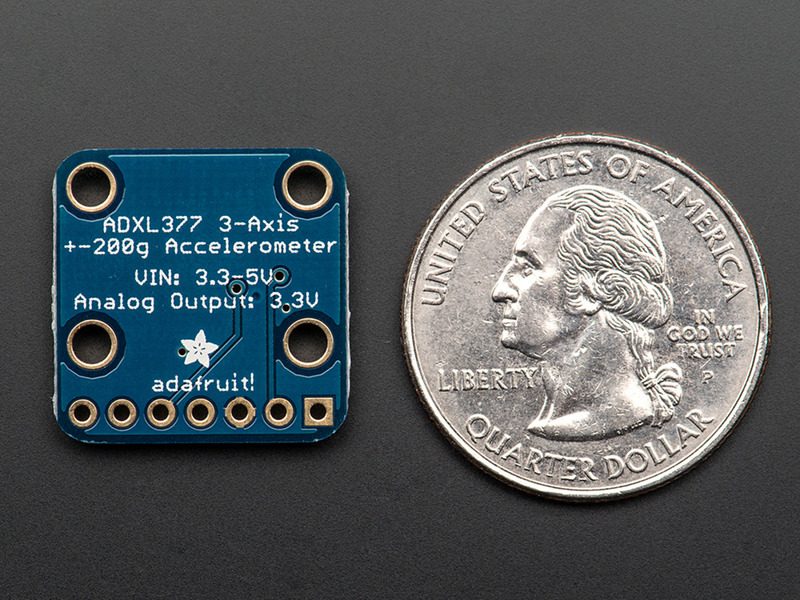 The ADXL377 +-200g 3-axis accelerometer may be able to tell the answer. 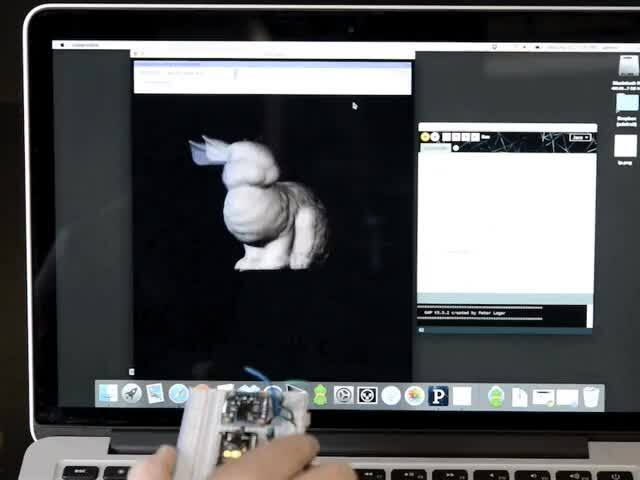 You read that right, this accelerometer can sense up to 200g's of force. Incredible! 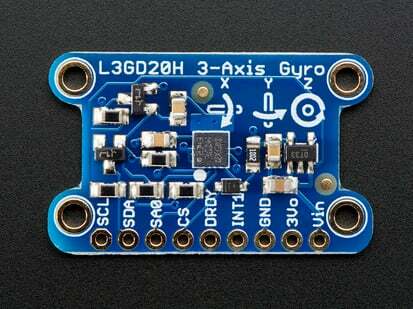 Not surprisingly, we couldn't say "no" to a breakout for this sensor. 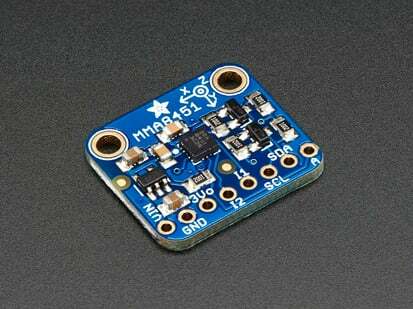 The sensor is soldered onto a PCB with four mounting holes (in case you don't remember, this is accelerating at up to 200g's!) 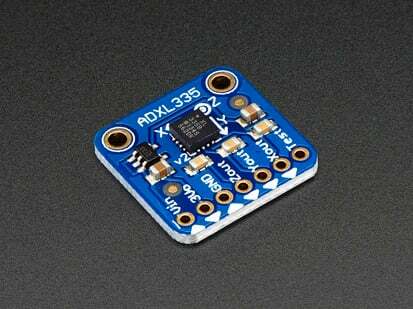 and a 3.3V regulator so you can use it with 5v logic such as an Arduino. 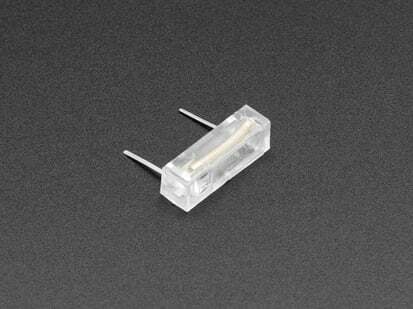 We also add 0.01uF filter caps for 500Hz output bandwidth. 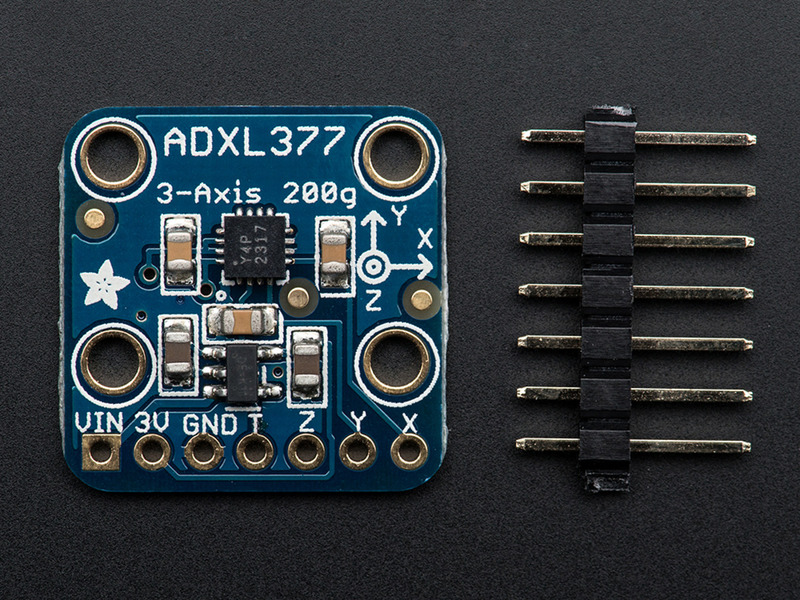 This breakout comes with 3 analog outputs for X, Y and Z axis measurements on a 0.75"x0.75" breakout board. 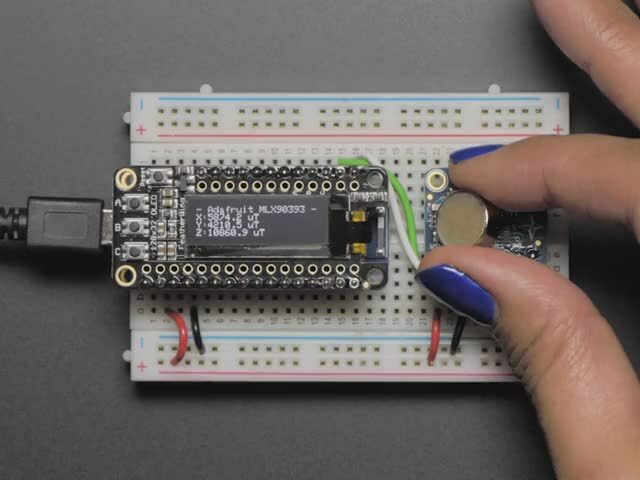 The analog outputs are ratiometric: that means that 0g measurement output is always at half of the 3.3V output (1.65V), -200g is at 0v and 200g is at 3.3V with full scaling in between. Fully assembled and tested. 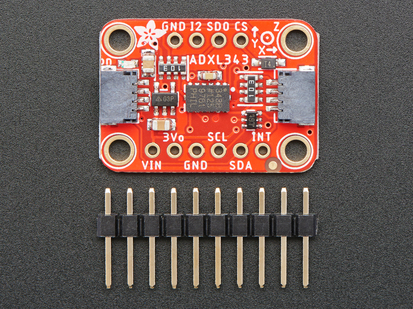 Comes with 8 pin 0.1" standard header in case you want to use it with a breadboard or protoboard. Four 2.5mm (0.1") mounting holes for easy attachment.